Pictured, Mickey Tronson aka Virgin Island Vicky. 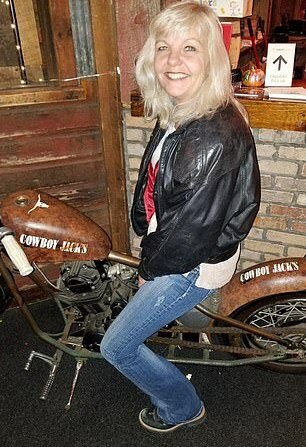 Virgin Island Vicky: A vacationing North Dakota woman becomes a viral sensation- but for all the wrong reasons as she goes on a racist rant. Video posted by Tariq Nasheed on Friday shows the woman- aka Mickey Tronson in real life- going on an expletive rant while a man in the background is heard trying to quiet her down. In the video, Tronson – can be seen near a pool when she starts her rant. The woman’s Facebook page has since been deleted. ‘Don’t like n*****s. President Trump, whoo! Obama? F**k you, motherf*****g n****r,’ she can be heard shouting. A man in the background can be heard trying to get the woman to be quiet. 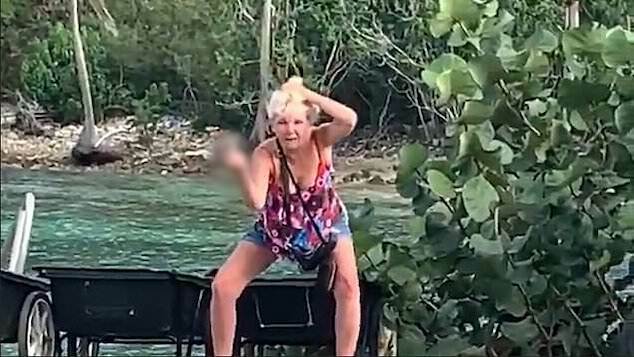 The clip later cuts to the woman on the boat and she makes it clear that her rant is far from over. The man from earlier can be heard trying to get Tronson to be quiet, yet again. 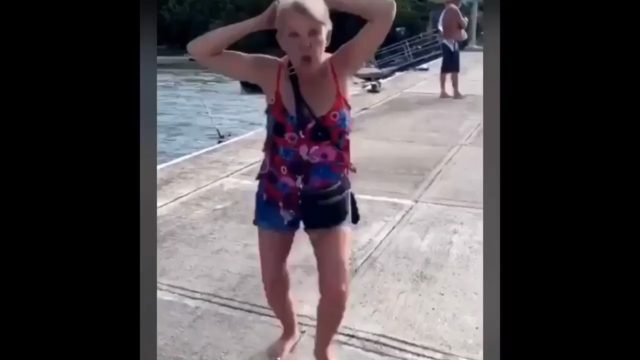 Edwin Lewis, a local resident, commented under the video that he ‘seriously thought about pushing her in the water’. He added that the woman was ‘worse on the beach’. The entrepreneur later shared that ‘police escorted’ the woman ‘out of there’. Lewis would later post a video showing his own altercation with the woman before she was removed from the island. In the brief clip, Lewis can be heard asking the racist woman to repeat herself. 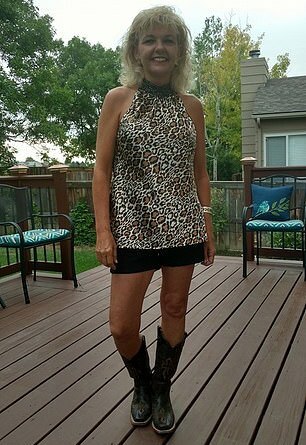 She repeatedly shouts ‘n****r’ while mocking the people who have threatened to call the police on her. Nasheed told Yahoo Lifestyle that he was sent the video anonymously a few weeks ago.